With not many days left before I hit the road folk keep asking me if I’m busy getting ready for upcoming bicycle journey.. and it makes me wonder if I should be doing ‘something’ to get ready.. as I’m not. Heck it’s always like this, all I need to do is sling a bit of camping gear together, pack my bike and choose a t-shirt, and that will be pretty much it. I might sort some gear out this coming weekend, but in the meantime too many distractions to enjoy now that the school summer holidays are over and Cornwall’s beaches have been returned to the ‘rightful owners’. 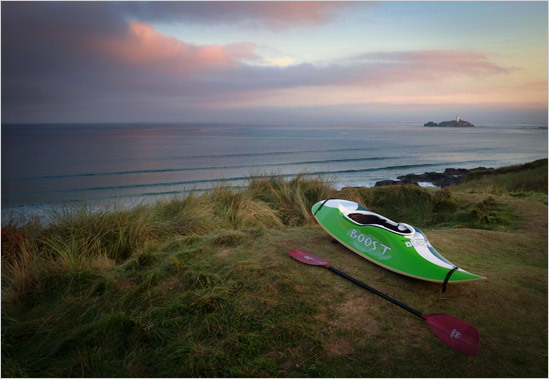 Wonderful dawn session this morning at early o’clock.. very small waves but very mellow and very empty :-) Now trying to ease my braincells into thinking mode. Failing miserably. Hence this post. mellow as… and just a couple of friendly, familiar faces (the usual early morning suspects) to share it with. PreviousPrevious post: « wheely rather.. dull..